The Global Warmer, our luminous ale of global proportions, is the latest badge on Untappd. 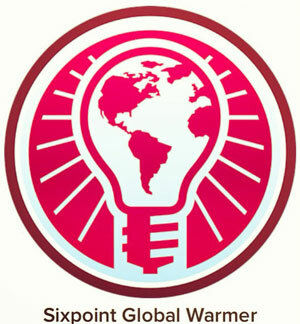 ‘Like’ Sixpoint on Untappd, and check in with the Global Warmer twice between now and December 31st to unlock the new badge. Find the Global Warmer, in slim cans and on draft, on our mobile app along with all other Sixpoint beers. With Untappd and the Sixpoint Mobile App, the globe is at your fingertips.